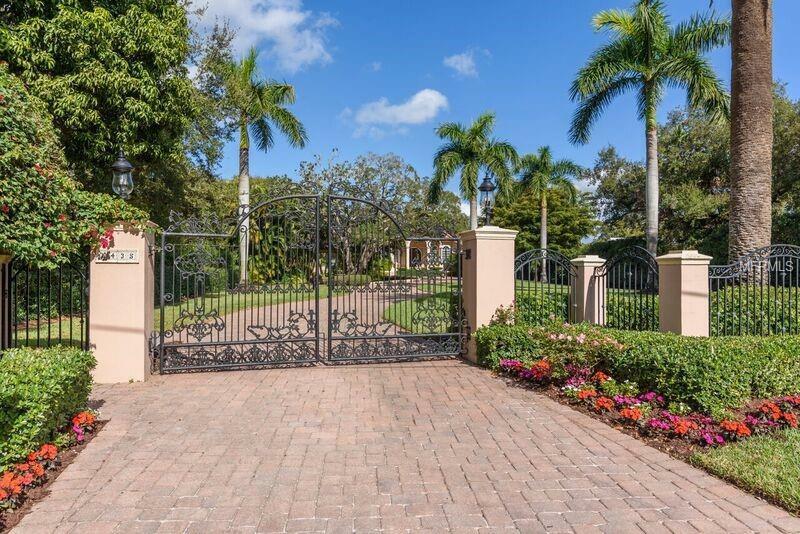 Enter this grand Harbor Acres estate through antique wrought iron gates and proceed down the long winding paver driveway to this very private setting on 115 ft of protected yacht basin. 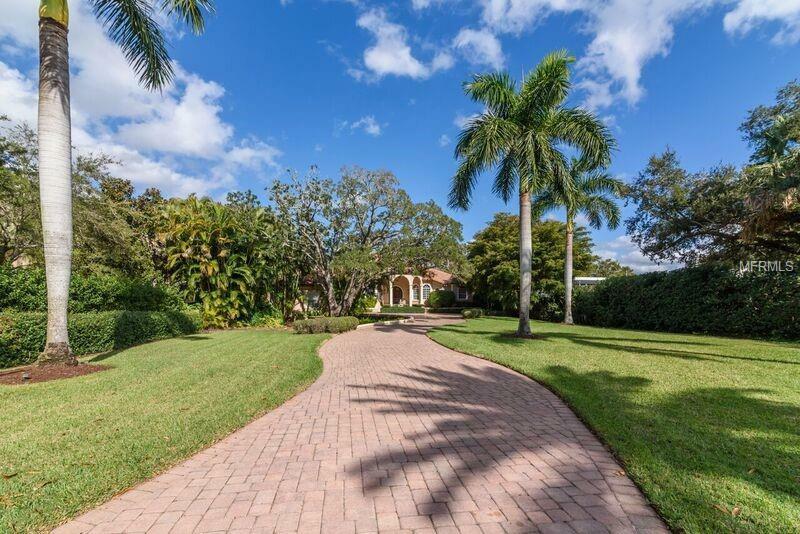 The lushly landscaped and manicured grounds comprise over three quarters of an acre, showcase this exceptional residence. The interior spaces are grand, yet comfortable, with the finest selections of interior design elements, including custom millwork. The elegant traditional styled kitchen offers an authentic old-world gathering space accented by Crystal custom cabinetry, professional Viking and Thermador, & Sub-Zero appliances. The well-designed living space is all on one floor, creating a smooth flowing, easily accessed floor plan. The master retreat is tucked away on a private east wing. A room-sized walk-in closet is a real dream come true. Glorious describes the exquisite master bath, with defined dual spaces, marble counters. The guest bedrooms are en-suite and generous in size, with a private path leading to the pool deck. A grand curved loggia (25 x 28), overlooks the bayou waterfront and pool, perfect for alfresco dining and entertaining. Carefree low maintenance large dock and 16,500 lb boat lift adds to your boating pleasure. Direct bay access from your dock is just around the bend. Car enthusiasts will love the oversized immaculate 3-car climate-controlled garage for their toys. Come for a visit, and you will fall in love. 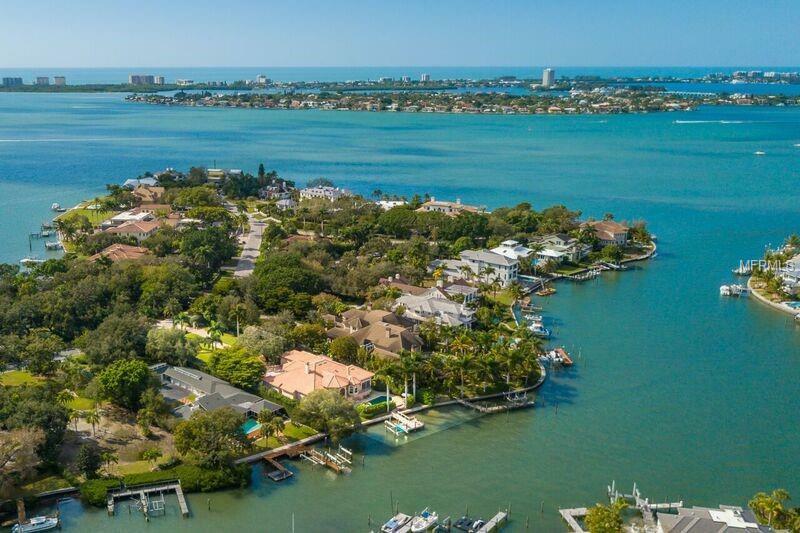 Be sure to click on the virtual tour video! Plenty of room to expand on this acre lot.